Maria Alajõe, director of the Tallinn University of Technology (TTÜ) Mektory Innovation and Business Centre, will begin work in September as head of the Estonian Research Council's liaison office for research and development in Brussels. The work of the head of the Estonian Research Council's liaison office for research and development in Brussels is directed toward increasing Estonia's visibility and impact in shaping EU policy in the field of higher education and research and development activity, TTÜ representatives told BNS on Friday. Alajõe's area of responsibility in the new position also includes increasing the active participation of Estonian organisations in European higher education and research and innovation programs, increasing the skills and knowledge of research administrators in terms of international research cooperation, and monitoring the development of European research and innovation policy and mediating it to Estonian parties. Andres Koppel, board chairman of the Estonian Research Council, said that the Brussels office is an important point of contact for both the Estonian research community as well as the Research Council, being both a significant mediator of information as well as as establisher of contacts. "The head of the Brussels office must have excellent communication skills and extensive knowledge of the research and development activity of both Estonia and Europe," Koppel said. "We believe that Maria Alajõe's previous work experience on the Estonian research and development landscape will help her cope with the work very well." Alajõe said that the position was offered to her just a bit too soon and there is still a lot of work that can be done in developing TTÜ's innovation and business relations. "At the same time, considering the current possibilities for supporting Estonian research and development activity and the beginning of the new EU financing period, I see contributing to Estonian research more broadly as a very good opportunity," she continued. "In my future job, I wish to be of support to all envoys of Estonian research in Brussels in establishing contacts and mediating various opportunities. As a small country this is currently extremely important for us." TTÜ rector Jaak Aaviksoo said that he was sorry to see Alajõe moving on from her current position at the university. "During her time in office, a great deal of work has been done, and the implementation of her previous experience and knowledge of Estonian society at TTÜ and Mektory has been commendable," he said. 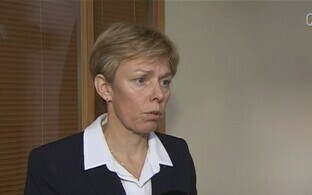 According to spokespeople for the university, during her time in office, Alajõe managed to put together a strong team and develop a modern and functioning organization. A network and roles of entrepreneurship specialists has been established and cooperation with the City of Tallinn and other large business partners has been updated, while cooperation with many organisations has been launched as well. TTÜ's Mektory has organised successful training programs and competitions aimed at startups, the winners of which were also showcased at the Latitude59 conference, and the School of Technology is expanding its activity both in terms of content and geographically. "I hope that the new position in representing Estonian research in Brussels will enable Maria Alajõe to continue the current fruitful cooperation, but now on a new level," Aaviksoo said.